Online marketing whiz and content creator, Ludwina Dautovic, has a knack for landing on her feet. It’s a knack born of an indomitable, warm personality that has delivered her a great deal of professional success. When disaster struck, her career was at its height. She’d started with a small home-based marketing business, become a party-plan toy seller, and then decided she “wanted to make a TV show”. Within eight days of that decision, she’d produced a pilot called Straight Talk. “I am really ballsy. If I want to do something, I just do it,” Dautovic tells me. She sold 20 episodes to the cable network Optus Vision. “This was back in the analogue days,” she says. All the while, Dautovic home schooled her children. Her television productions went from strength to strength – including an in-school program involving 300 sites. Then Dautovic decided to re-evaluate her life and career. She trained as a life coach, and started running events for women in Melbourne, which expanded to Sydney and grew in to a business called Red Tent Woman. Having won numerous awards and built a national profile, Dautovic was on a high. Two days before launching her network in Perth, she felt a nasty pain in her back and went to the doctor. “The Friday before the event, I was diagnosed with a 14-centimetre tumour on my kidney.” At the time of the launch, delivered by her co-presenter, Dautovic was in hospital. She’d felt no pain until the tumour grew so large it pressed on her nerve. She was given a prognosis: remove one kidney or die. “It was a terrible shock, like being hit by a truck or having a car accident, but you do not know you have gone into that traumatic state,” she says. 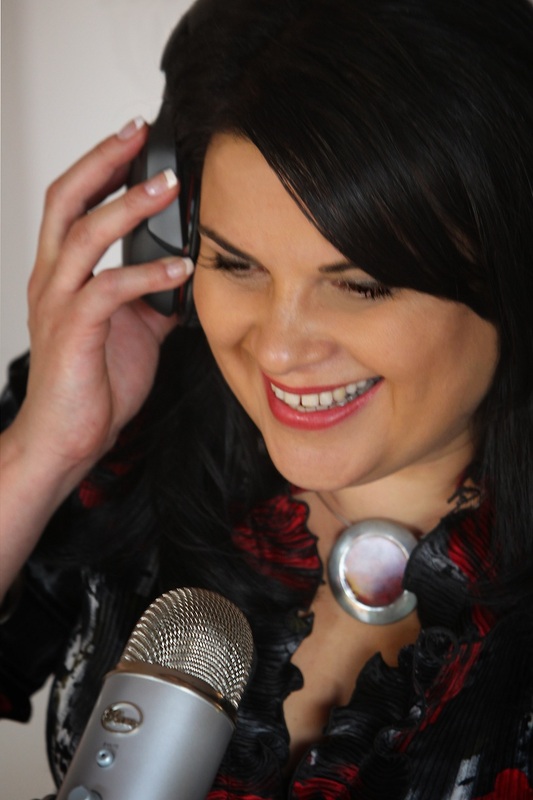 Dautovic planned to record podcasts with business people she admired. She put Poppy King, the former lipstick magnate now living in New York, on the top of her long list, and laminated it. “I thought I will ask her and if she says no, I will work down. If that person says yes, I can leverage that to get the next person.” Poppy King said “Yes!” Everyone said yes. She did a lot of the interviews in bed, in her PJs, with her laptop and recorder on her breakfast tray. After a month, the podcast were on American radio with around 5,000 listeners every week, and over 4000 downloads from iTunes. As fans began to ask Dautovic how she did it, she developed an online Podcast Master Class and sold $10,000 worth of tickets to it before it was produced. “It was the right time,” she says. By this stage, Dautovic had become an online marketing master. The proof is in the pudding: on the day of her book launch, March 20 this year, Dautovic was on the operating table again. But everything ran to plan – the book was launched and went on sale via the web, in print or digital versions. Everything was automated, and she had a team behind her to solve problems.